Game theory is a field of applied mathematics that provides an effective tool in modeling the interactions among independent decision makers. It can describe the possibility to react to the actions of the other decision makers and analyze the situations of conflict and cooperation. The rational decision makers, referred to as ‘players’ in a game model, try to maximize their expected benefits through strategy set. Many applications of the game theory are related to economics, but it is also a powerful tool to model a wider range of real life situations, such as political science, sociology, psychology, biology, and so on, where conflict and cooperation exist. Since the early 1990s, computer science and telecommunications have been added to this list. Game theory experienced a flurry of activity in the 1950s, during which time the concepts of the core, the extensive form game, fictitious play, repeated games, and the Shapley value were developed. In addition, the first applications of Game theory to philosophy and political science occurred during this time. In 1965, Reinhard Selten introduced his solution concept of subgame perfect equilibria, which further refined the Nash equilibrium (later he would introduce trembling hand perfection as well). In 1967, John Harsanyi developed the concepts of complete information and Bayesian games. Nash, Selten and Harsanyi became Economics Nobel Laureates in 1994 for their contributions to economic game theory. In the 1970s, game theory was extensively applied in biology,largely as a result of the work of John Maynard Smith and his evolutionarily stable strategy. In addition, the concepts of correlated equilibrium, trembling hand perfection, and common knowledge were introduced and analyzed. In 2005, game theorists Thomas Schelling and Robert Aumann followed Nash, Selten and Harsanyi as Nobel Laureates. Schelling worked on dynamic models, early examples of evolutionary game theory. Aumann contributed more to the equilibrium school, introducing an equilibrium coarsening, correlated equilibrium, and developing an extensive formal analysis of the assumption of common knowledge and of its consequences. In 2007, Roger Myerson, together with Leonid Hurwicz and Eric Maskin, was awarded the Nobel Prize in Economics "for having laid the foundations of mechanism design theory." Myerson's contributions include the notion of proper equilibrium, and an important graduate text: Game Theory, Analysis of Conflict. 게임이론(game theory)은 경쟁주체가 상대방의 행동을 고려하며 자신의 이익을 효과적으로 달성하기 위한 최선전략(best strategy)을 어떻게 합리적으로 결정할 것인가를 수학적으로 분석하는 이론이다. 자신의 선택이 어떻게 상대방의 결정에 영향을 미치고 역으로 상대방의 전력이 자신에게 어떤 영향을 미치는가를 감안해 게임의 참여자가 결정을 내리는 것에 대해 이론적으로 설명한다. 경기자들 모두가 상대방이 내린 결정 선택 하에서는 자신의 선택이 최선이라고 여기는 결과에 이르러, 각 경기자들이 자신의 행동을 바꾸지 않는 게임에서의 균형점(Nash Equilibrium)을 찾는 것이다. 게임이론에서는 경쟁적 상황에 놓여진 경기자(player), 상대의 행동 및 상태의 변화에 대해 경기자가 취하는 전략(strategies) 그리고 경기자의 전략에 따라 달라지는 게임의 결과로서 각 경기자의 이익을 나타내는 보수함수(payoff function)를 열거함으로서 한 게임에 대한 묘사를 하게 된다. 오늘날 사회과학, 생물학, 정치학, 철학에서 활용되는 응용수학의 한 분야인 게임이론은 컴퓨터 네트워크에 적용한 사례는 혼잡제어(congestion control), 라우팅(routing), 전력 제어(power control), 가격 결정(pricing) 등 그 종류가 다양하다.이 이론은 한 개인의 전략적 상황(자신의 의사결정에 의한 성공이 다른 사람의 선택에 의존적인 상황)에서의 행동을 수학적으로 설명하고자 한다. 처음에는 제로섬 게임(zero sum game, 한 개인이 다른 사람의 이익을 빼앗는 상황)에서의 경쟁을 분석하기 위해 개발되었으나, 지금은 다양한 조건의 광범위한 상호작용을 다룰 수 있도록 확장되었다. 오늘날 게임이론은 사회과학의 이성적인 부분을 다루는 마치 우산처럼 드리워진 통합된 이론으로 사회라는 것을 더 확장하여 인간 뿐 아니라 컴퓨터, 동식물의 인터렉션으로 확장되고 있다. 전통적인 게임이론의 응용은 게임에서의 균형점(각 개체들이 자신의 행동을 바꾸지 않는 전략들의 집합)을 찾는 것이다. 이러한 아이디어를 바탕으로 많은 균형개념들이 개발되었다. 이 중 내쉬 균형(Nash equilibrium)이 가장 유명하다. 이런 균형개념은 중복되거나 비슷하기도 하지만, 적용되는 분야에 따라 상이하게 발전되어 왔다. 이런 방법론은 비판도 없지 않고, 특정 균형개념의 적절성이나 전체 균형개념들의 적절성, 더 일반적으로는 수학 모델들의 유용성에 대한 토론이 아직도 이어지고 있다. 본 연구실에서는, 기존의 컴퓨터 네트워크 환경에서 혼잡제어, 라우팅, 전력제어, 가격 결정 등의 실사례에 게임 이론을 접목하는 연구를 진행하고 있다. The Internet of Things (IoT) is regarded as a technology and economic wave in the global information industry after the Internet. The IoT is an intelligent network which connects all things to the Internet for the purpose of exchanging information and communicating through the information sensing devices in accordance with agreed protocols. It achieves the goal of intelligent identifying, locating, tracking, monitoring, and managing things. It is an extension and expansion of Internet-based network, which expands the communication from human and human to human and things or things and things. 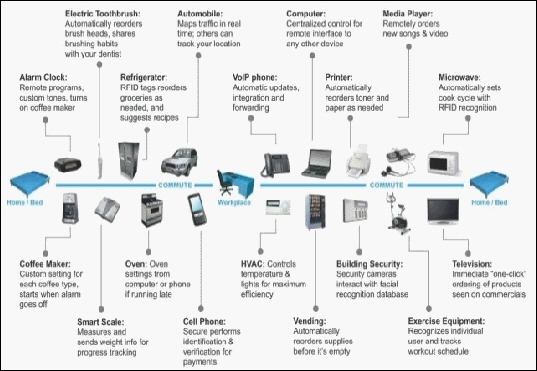 In the IoT paradigm, many objects surrounding us will be connected into networks in one form or another. RF identification (RFID), sensor technology, and other smart technologies will be embedded into a variety of applications. IoT should have the following three characteristics. Comprehensive Perception: Using RFID, sensors, and two-dimensional barcode to obtain the object information at anytime and anywhere, it will be a new opportunity. Using it, information and communication systems can be invisibly embedded in the environment around us. Sensor network will enable people to interact with the real world remotely. Identification technologies mentioned here include objects and location identifications. Identification and recognition of the physical world is the foundation of implementing overall perception. Reliable Transmission: Through a variety of available radio networks, telecommunication networks, and Internet, objects information can be available in any time. Communication technology here includes a variety of wired and wireless transmission technologies, switching technologies, networking technologies, and gateway technologies. 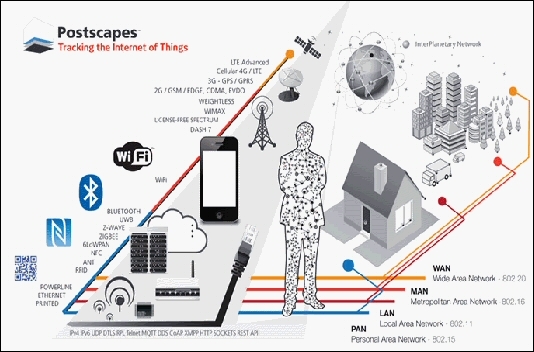 IoT further creates the interaction among the physical world, the virtual world, the digital world, and the society. Machine to machine (M2M), furthermore, is the key implementation technology of the Network of Things, which represents the connections and communications between M2M and Human to Machine including Mobile to Machine. Intelligent Processing: By collecting IoT data into databases, various intelligent computing technologies including cloud computing will be able to support IoT data applications. The network service providers can process tens of millions or even billion pieces of messages instantly through cloud computing. Cloud computing technology will thus be the promoter of IoT. 사물인터넷(IoT: Internet of Things)은 지능화된 사물들이 인터넷에 연결되어 네트워크를 통해 사람과 사물(물리 또는 가상), 사물과 사물 간에 상호 소통하고, 상황 인식 기반의 지식이 결합되어 지능적인 서비스를 제공하는 글로벌 인프라이며, 스마트 디바이스, 모바일, 클라우드, 빅데이터 기술 등과 융합하여 개방과 공유를 지향하는 초연결사회의 핵심이 되어 신산업 창출, 생산성․효율성 제고, 사회 현안 해결 및 삶의 질 향상 등에 크게 기여할 것으로 전망된다.. 2020년에 인터넷에 연결되는 사물의 수는 약260억 개까지 증가할 것으로 전망되며 (PC, 태블릿, 스마트폰 제외), 약 3,000 억 달러의 시장(서비스, 제품) 창출과 1.9조 달러의 경제적 파급 효과가 기대되며, 특히 제조와 헬스 케어 분야의 파급 효과가 가장 클 것으로 전망된다. 사물인터넷은 1999년 MIT Auto-ID 센터 공동설립자인 케빈 애쉬톤에 의해 최초로 제안되었으며, RFID태그를 통한 사물(Thing)의 지능화 미래비전 개념이었다. 그 후 2005년 ITU 의 7번째 인터넷 보고서인 IoT 보고서에서 기존의 Anytime, Anyplace 중심의 정보 통신 기술에 Anything 연결성을 추가하여 새로운 다이나믹 네트워크를 형성하는 기술적인 혁신에 의해 인터넷에 큰 변화가 올 것이라고 제시하면서 확산되기 시작했다. 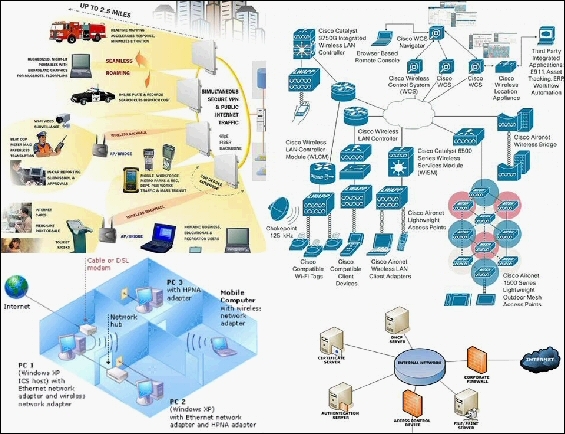 미국(2008,2013), 유럽(2009), 독일(2013), 중국(2009) 등 세계 주요국은 글로벌 IoT 시장 선점을 위해 국가 전략을 수립하였다. 우리 정부는 2004년부터 추진해 온 RFID/USN, 사물지능통신 결과를 기반으로 새롭게 발전시킨 사물인터넷을 창조경제의 핵심 아젠다로 설정하고, ‘초연결 디지털 혁명의 선도 국가 실현’을 위한 ‘사물인터넷 기본계획’을 수립하여, 1) 창의적 IoT 서비스 시장 창출, 2) 글로벌 IoT 전문기업 육성 및 3) 안전하고 역동적인 IoT 발전 인프라 조성을 주요 정책 추진 과제로 선정하고, 글로벌 파트너십 추진과 핵심 기술 개발 전략 로드맵 등 실행 계획을 본격적으로 수립하고 있다. 본 연구실에서는, 기존의 유선 네트워크에서 IoT 환경을 고려한 게임 이론 기반의 새로운 네트워크모델로 확장시키기 위한 연구를 진행하고 있다. In recent years, we have seen several catastrophic power system blackout events throughout the world and the usual cause is that the power system is in a stressed state, followed by faults on critical facilities or old equipment. Every time when power system has a fault or an outage, protection and control systems – relays and related automation systems play an important role in all those events. 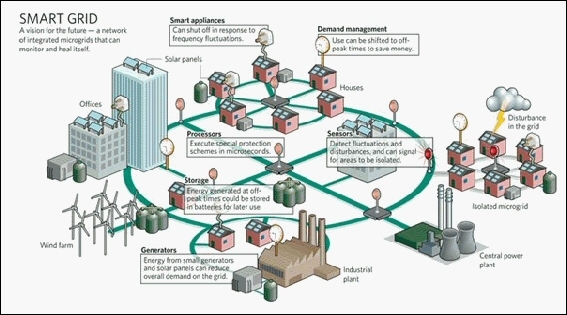 Every single circuit of power grid has numerous relays to control its behavior (i.e., opening or closing the circuit, sending signals to control centre, transferring trips to other power grid transmission line, etc.). The estimated number of relays in service in North America grid is more than 5 million. The major function of relays is to trip associated circuit breakers which are connected to generators, transmission lines, distribution lines, transformers, buses, etc., in response to faults or other conditions for which the protection and control system is designed. According to the thorough studies on many major captured power system fault events/blackouts, the results of power system performance fell into four categories: Correct and appropriate (System operated correctly and achieved desired results as designed. ), Correct and inappropriate (System operated correctly as designed but the result was not what was intended. ), Incorrect and appropriate (System operated incorrectly but this prevented another more severe trip and avoided a major cascading failure. ), Incorrect and inappropriate (System operated incorrectly and this contributed to a cascading outage – this is also a serious mis-operation.). Therefore, the first consideration is to check and ensure protection and control systems operate as designed and function correctly. Smart Power Management System collects, sorts out and compares real time data, to ensure there is no conflicting information which is quite common due to the gaps among grid functioning bodies. For example, how many times does one breaker tripped and what is the estimated replacement time? When there are two protection schemes have conflicts, which one would be the best from the grid management perspective? We do not need to wait until fault happens to evaluate any undesired outcomes; we can do it now so as to minimize any unwanted outages and reduce the grid stresses for smart grid management. 최근 선진국뿐만 아니라 개발도상국까지도 경제의 규모를 늘려감에 따라 지구촌 전체적으로 사용하는 에너지가 많아졌고, 그 수요를 맞추기 위해 전력생산을 함으로써 이상기후변화의 주범인 온실가스의 배출량이 과거와는 비교가 되지 않을 만큼 많아졌다. 이로 인해 이상기후변화 중 하나인 온난화 현상이 심각한 문제로 대두되었고, 이를 해결하기 위해 성장을 추구하되 자연을 생각하고 환경을 보호하자는, 이른바 ‘녹색성장’에 대한 관심이 깊어지고 있다. 그러한 움직임들 중의 하나로 수요자측 관리(DSM: demand-side management)가 주목 받기 시작했다. DSM이란 공급자가 수요자의 측면에서 에너지 소비를 제어하도록 제안된 프로그램들을 일컫는다. 대부분의 DSM 프로그램들은 공급자와 각 사용자들 사이의 상호작용에 중점을 두고 있으며, 효율적 에너지 사용 프로그램이나 대체 에너지 프로그램 등을 통해서 추가 전력생산 없이 효율적으로 기존의 사용 가능한 에너지들을 활용한다. 대표적인 DSM으로는 주택 부하 관리(residential load management)가 있다. 이 프로그램은 주로 소비 감소(reducing consumption)와 소비 전이(shifting consumption)의 두 가지를 동시에 목표로 한다. 소비 감소란 소비자들에게 절약하는 소비 패턴을 권장함으로써 이룰 수 있으며, 이를 통해서도 해결되지 않는 피크타임에서의 과도한 에너지 소비는 소비 전이, 즉 피크타임에서 사용 중인 가전제품을 피크타임이 아닌 다른 시간대로 옮김으로써 해결할 수 있다. 주택 부하 관리의 해결책으로는 직접 부하 제어(direct load control)가 있다. 이는 공급자가 직접적으로 전등이나 난로와 같은 가전제품들을 키거나 끔으로써 주택에 사용되는 에너지를 직접적으로 제어할 수 있다고 공급자와 소비자 사이에서 미리 동의를 한 경우이다. 하지만 이는 지극히 개인적인 사생활의 영역을 침범하는 행위가 되므로, 굉장한 논란의 소지가 있다. 이러한 문제점을 극복하고자 하여 제시된 것이 바로 스마트 가격결정기법(smart pricing)이다. 스마트 가격결정기법이란 시간대에 맞게 가격을 정해서 소비자 개개인이 그 가격을 토대로 자신의 부하를 스스로 제어하도록 유도하는 기법이다. 예를 들어 피크타임에서는 매우 높은 가격을 채택할 수도 있고, 전력 사용이 거의 없는 시간대에서는 일반 가격보다 낮게 채택할 수도 있다. 하지만 이 또한 사용자들이 매 단위시각마다 바뀌는 가격을 참조해야 한다는 단점이 있고, 피크타임에서의 에너지 소비량 감소가 의미 있는 감소를 보이지 않을 수도 있다는 단점이 있다. 이러한 스마트 가격결정비법을 전력망에 실제로 적용시킨 것이 바로 스마트 그리드(smart grid)이다. 스마트 그리드란 기존의 전력망(grid)에 IT 기술(smart)을 접목하여 공급자와 소비자가 양방향으로 실시간 전력정보를 교환함으로써 최적화된 전력이용효율을 지니는 전력망을 의미한다. 여기서 중요한 부분은 사용자의 자발적인 에너지 절약 참여로, 전력수급 상황 별 차등요금제를 적용함으로써 전력수요를 고르게 분산시키는 수요반응(demand response)이 매우 중요하다. 수요반응은 공급자가 전력 수요량에 의거하여 가격을 결정하여 이를 사용자들에게 공지하게 되면, 사용자들은 이를 토대로 효과적인 전력 사용을 한다는 것이다. 이러한 실시간 전력정보 공유를 통한 안정적인 전력생산과 더불어 최적화된 전력사용을 통한 녹색성장에도 기여한다. 본 연구실에서는, 게임 이론 기반의 새로운 전력 제어 기술 및 가격 결정 기법으로 전력 사용량을 감소로 사회적 비용을 절감할 수 있는 새로운 모델 개발 연구를 진행하고 있다. Over the past few years, Vehicular Ad-hoc NETwork (VANET) comes with unique attractive features and plethora of potential applications. Therefore, inter-vehicle communication has gained a tremendous amount of attention in the area of wireless networking as well as the automotive industries. 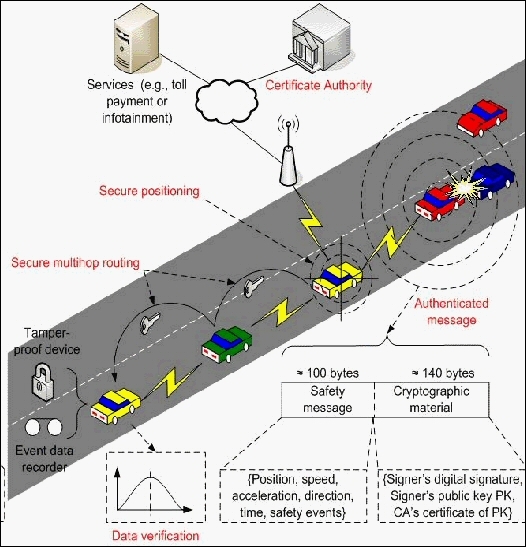 In particular, VANET based inter-vehicle communication is believed on its promise in traffic safety, efficient driving and traffic operation enhancement at low cost. To bring its potency to fruition, VANET has to cope with formidable challenges. First of all, applications stringently require the robust message delivery and frequent data exchanges to share of various real-time road and traffic information. 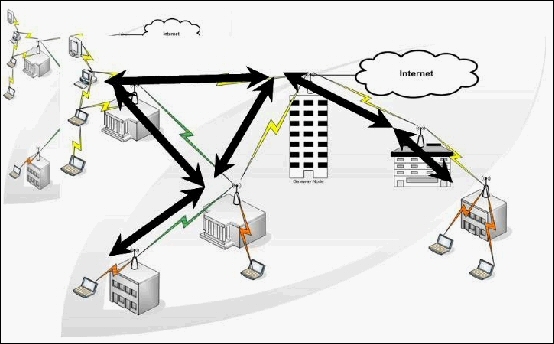 However, the dynamics of the network topology causes the lack of link connectivity and frequent fragmentations. Due to this reason, the current research on VANETs has been focusing on the development of adaptive communication algorithms while preventing network congestions. During the high mobility of vehicles, the communication link between two vehicles might remain active only for short duration of time. Therefore, reliability is an extremely important factor for VANET applications. One way of making reliable vehicle-to-vehicle link connections is to increase the transmission power. However, the high transmission power results in the high network overhead. If the transmission power is low, it tends to cause excessive multi-hop communication packets with a long delay. Therefore, a fixed transmission power cannot provide an effective solution for the VANET management. To adapt the changing network conditions, the dynamic adaptation of transmission power is crucial for the effective network operation. 최근 차량의 급격한 증가와 무선 통신 기술의 발전으로 차세대 교통 체계 구현을 위한 지능형 교통 시스템의 핵심 기술로써 전세계적으로 이동 애드혹 네트워크(MANET: Mobile Ad-hoc Network)의 특수한 분야인 차량 애드혹 네트워크(VANET: Vehicular Ad-hoc Network)에 대한 연구가 활발하게 진행되고 있다. 이러한 연구를 통해 차량이 이동하면서도 교통 상황에 대한 정보, 사고 발생 관련 정보, 인포테인먼트 등의 공유도 가능하게 되었다. 또한 차량 간의 정보 공유는 운전자의 생명과 직결되는 도로에서 안전을 보장하고 편리함을 제공 받을 수 있다. 기본적으로 각 차량들이 송수신하는 메시지는 주기적으로 전송하는 비콘 메시지(beacon message)와 위급한 상황이 발생 했을 때 전송하는 긴급 메시지(emergency message)로 구분할 수 있다. 주기적으로 전송하는 비콘은 차량의 속도, 위치, 방향 등의 기본 정보를 포함하여 단일 홉 방송(one-hop broadcast)으로 통신하게 된다. 이와 반대로 긴급 메시지는 전방의 충돌 사고 혹은 앞 차량의 급 제동으로 발생할 수 있는 사고를 미연에 방지하기 위해 상황을 인지한 그 즉시 다중 홉 방송(multi-hop broadcast)으로 통신하게 된다. 안전한 정보 교환 서비스를 제공하기 위해서는 차량 네트워크 특성에 적합한 효율적인 라우팅 프로토콜의 설계가 네트워크 성능에 있어 가장 중요한 요소이다. 차량 애드혹 네트워크는 이동하는 노드들이 분산되어 자율적으로 통신한다는 점에서 모바일 애드혹 네트워크와 비슷하지만, 차량의 빠른 이동성과 잦은 토폴로지의 변화로 인해 빈번한 링크 단절, 짧은 링크 지속시간 등의 문제점을 지닌다. 따라서 차량의 높은 이동성을 특징으로 하는 차량 애드혹 네트워크에서 기존의 라우팅 프로토콜을 그대로 적용하는 것은 신뢰성 있는 라우팅 성능을 보장할 수 없다. 따라서 이러한 문제를 해결하기 위해 차량 애드혹 네트워크의 특성을 고려한 클러스터 기반(cluster based), 거리기반(distance based), 위치기반(position based) 등의 라우팅 알고리즘에 대한 연구가 활발히 진행되고 있다. 본 연구실에서는, 다이나믹한 VANET 환경을 고려한 게임 이론기반의 새로운 전력 VANET 패킷 라우팅기법에 관한 연구를 진행하고 있다. Wireless mobile networking is one of the strongest research areas of communication technology today. A promising approach for wireless mobile networks is through the cellular concept. Cellular technology has greatly enhanced the capability to cope with the increased demand for wireless mobile communication services. 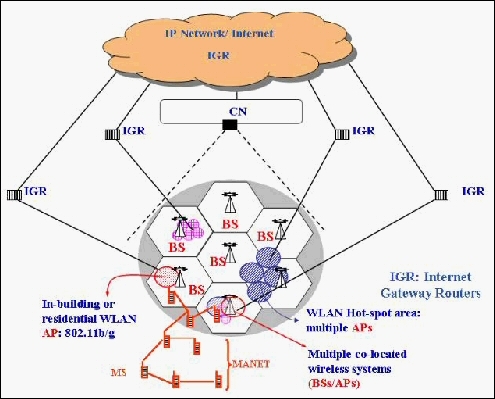 In cellular networks, the service area is typically divided into hexagonal shaped areas celled cells. The same bandwidth can be reused as much as possible by employing a collection of cells in order to support a large number of simultaneous users requiring service. This bandwidth reuse planning is an important engineering task, requiring an acceptable compromise between capacity and performance. Reducing the size of cells can improve the overall capacity. Bandwidth is an extremely valuable and scarce resource in a wireless network. Therefore, efficient bandwidth management is necessary in order to provide high-quality service to users in a multimedia wireless/mobile network. In this research topic, ICC Lab. tries to propose new adaptive network management algorithms for bandwidth reservation, call admission, bandwidth migration, and all-preemption strategies. These techniques are combined in an integrated framework that is able to balance the traffic load among cells accommodating heterogeneous multimedia services while ensuring efficient bandwidth utilization. 최근 이미지, 오디오, 비디오 등 다양한 멀티미디어 서비스의 폭발적인 증가와 더불어 무선통신 기술이 급격한 발달로 인해 사용자가 자유롭게 이동하면서 정보를 처리하는 셀룰러 네트워크에 대한 관심도가 높아지고 있다. 또한, 대용량의 대역폭을 필요로 하는 멀티미디어 데이터를 지원하기 위해 사용할 수 있는 무선 네트워크의 대역폭은 한정되어 있기 때문에 효율적인 대역폭 관리가 네트워크 성능을 증가시키기 위한 중요한 요소가 되고 있다. 본 연구실에서는, 기존의 유선 네트워크에서 제공하던 다양한 형태의 멀티미디어 데이터 서비스를 무선 셀룰러 네트워크로 확장시키기 위한 연구를 진행하고 있다. Online algorithms are a natural topic of interest in many disciplines such as computer science, economics, and operations research. Online algorithms have been implicitly and explicitly studied for last several decades in the context of scheduling, optimization, data structures, and other computational topics. Many computational problems are intrinsically online in that they require immediate decisions to be made in real time. Paging in a virtual memory system is perhaps the most studied of such computational problems. Routing in communication networks is another obvious application. Decision making in the field of finance is another obvious area of interest. The traffic patterns and future arrival rate of requests is generally not known. Furthermore, the fact that traffic patterns can vary dramatically over short periods of time makes the problem more challenging. Therefore, control decisions have to be made in real time and without the knowledge of future traffic requests at the decision time. Online algorithms are natural candidates for the design of bandwidth-control schemes in multimedia cellular networks. Optimal offline algorithms are unrealizable for network management because it needs full knowledge of the future for an online problem. 셀룰러 네트워크의 시스템 제어결정들은 미래에 대한 정확한 정보가 없는 상태에서 실시간으로 내려져야 한다. 따라서, 트래픽 상황이 능동적으로 변화할 수 있는 셀룰러 네트워크 상황에서는, 최적화된 제어결정을 내리기 위해 필요한 모든 관련 정보를 전부 수집한 후 결과값을 얻어내는 오프라인 알고리즘 (offline algorithm) 방식을 적용하기에 현실적으로 불가능하다. 이에 비해 온라인 알고리즘 (online algorithm) 방식은 제어 결정시, 현재 확보된 정보만을 기준으로 실시간으로 결정을 내리는 문제해결 방식이다. 즉, 알고리즘 수행의 각 단계에서 가장 최적이라고 판단되는 결정을 즉석으로 내리는데 이때 이러한 결정이 전체적으로 최적인지 여부는 검사하지 않고 현재 상태에서 가장 최적이라고 판단되는 결정을 내린다. 이런 방식은 최적화된 결과는 얻을 수 없지만 실시간 제어처리가 가능하고 계산에 필요한 데이터 확보가 쉽다는 장점이 있다. 따라서 멀티미디어 서비스의 QoS 제어 및 이동 셀룰러 네트워크의 다양한 트래픽 상황에 적응적으로 대응하는 방법으로는 온라인 알고리즘 기법이 적절하다. 본 연구실에서는, 네트워크 제어 결정시, 현재 확보된 정보만을 기준으로 현재 상태에서 가장 최적이라고 판단되는 결정을 내리는 실시간 제어처리에 대한 연구를 수행하고 있다. 최근 몇 년 동안, 통신기술의 극적인 진보는 인터넷과 같은 새로운 네트워크와 다양한 형태의 멀티미디어 데이터 서비스에 대한 수요를 폭발적으로 증가시켰다. 그러나, 멀티미디어 서비스는 다양한 대역폭을 요구할 뿐 아니라 서로 다른 QoS (Quality of Service)를 요구하며, 요구한 QoS에 민감한 특성을 가지고 있기 때문에 효율적인 네트워크 관리방법이 더욱 중요시되고 있는 추세이다. 멀티미디어 데이터는 일반적으로 class I (실시간) 데이터와 class II (비실시간) 데이터로 구분된다. 음성, 비디오 데이터처럼 엄격한 실시간 요구사항을 가지는 class I 데이터 트래픽들은 지연시간에 매우 민감하나, 파일전송, 전자메일 그리고 원격 터미널 응용 등의 class II (비 실시간) 데이터들은 지연시간에 대해 유연성을 가진다. 일반적으로 이와 같은 지연 허용성을 고려해서 class II 데이터 트래픽보다는 class I 데이터 트래픽에 더 높은 우선순위를 부여한다. 본 연구실에서는 제한된 통신 시스템 자원의 한계를 효율적으로 극복하면서 다양한 멀티미디어 서비스의 QoS를 제공하는 통신기법에 대한 연구를 수행한다. Our research can be extended to include dynamic QoS priority control in multimedia networks. We contend that future research will shift away from the fixed priority paradigm, and will focus more on dynamic priority mechanisms, which means that call priority can be changed based on online requests and current network conditions. We think that an adaptable QoS priority management will be sufficiently flexible to accommodate a variety of multimedia communication demands and will provide a useful framework to manage bandwidth in next generation network operations. Our research can be extended to develop new bandwidth management algorithms based on an economic perspective. Game theory has been used for years as a tool for economic analysis. Based on this tool, one may design an economic-based online decision mechanism for developing dynamic QoS control and adaptive bandwidth management algorithms for multimedia networks. This management strategy will be of interest to both end-users and commercial service providers. In addition, our methodology can be used to develop new adaptive online algorithms for other research areas. Control decisions in inter-process communication, disk and memory management, file and I/O systems, CPU scheduling, and distributed operating system also must be made before the entire input sequence is available. Therefore, the main concept of the integrated online approach based on real-time measurement information, is suitable not only for bandwidth management in multimedia networks but also for application requiring adaptive control algorithms. 향후 연구 과제로는, 적응적 온라인 알고리즘의 기본개념을 시스템 자원의 효율적 관리가 필요한 전산학의 전분야 CPU 스케쥴링, 메모리 및 디스크 관리, I/O 와 파일처리, 프로세서간 통신등 -로 확대 적용할 수 있을 것이며, 실시간 결정이 중요시되는 경제학의 여러 분야에서도 유연하고 강력한 솔루션을 제공할 것이다. 네트워크 자원의 효율적인 관리를 위해서 시간과 상황에 따라 다양한 인센티브를 사용자에게 제공하거나 사용자들도 자신이 지불하는 비용에 기준하여 동적으로 QoS 를 보장받을 수 있게하는 접근법으로 시스템의 관리자 및 서비스 제공자의 요구를 동시에 만족시키면서 시스템 전반의 효율을 증가시킬 수 있다. 시스템의 에너지 효율을 증가시키기 위한 실시간 전원 조절방법에 있어서도 온라인 알고리즘을 기반으로하는 제어처리 방법을 적용할 수 있다. 즉, 우선순위가 높은 데이터 처리의 지연을 최소화하여 요구되는 QoS를 보장하고, 또한 에너지 효율적인 시스템을 구현하기 위해서도 적응적 온라인 접근법이 최적화된 시스템 성능에 접근하는데 용이하다. 네트워크 프로토콜에서의 에너지 효율성과 저전력 설계에 관한 연구는 포괄적인 무선 서비스의 확장 가능성을 바탕으로 미래의 중요한 연구 주제가 될 것이다. 멀티미디어 서비스를 지원하는 온라인 프로토콜은 현재 네트워크 상황에 적응적으로 반응하여 효율을 최대화하도록 실시간 제어결정들을 내리게 되어 높은 에너지 효율을 유지하면서 동시에 다양한 트래픽 상황에서 우수한 네트워크 성능을 제공할 것으로 기대된다. 최근에는 유선 네트워크를 기반으로 하되 네트워크의 종단을 무선화하여 각종 서비스가 통합되어 제공되는 방법에 대한 관심이 증가하고 있다. 이와 같은 유무선 통합 서비스는 일반 사용자들이 통신 네트워크 인프라의 구조나 형태에 무관하게 궁극적으로 동일한 통신 서비스를 유지하는 환경이 가장 핵심적인 요구사항이다. 제안되는 온라인 제어기술은 유무선 네트워크의 기능이 상호 유기적으로 결합되어 적응적으로 연동되도록 하는 유연한 운영기법의 기반이 된다.